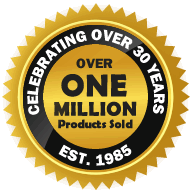 Duration Windows is one of the UK's leading domestic aluminium windows and doors trade manufacturers, we supply right across the country up as far as Manchester. Our impressive offices, factories, warehouses and manufacturing plants are located in the Thames Estuary on Canvey Island, in Essex. We specialize in Bi-folding Doors, Secondary Glazing and Steel Replacement Windows. Over the past three decades we have grown to become one of the UK's largest aluminium window and doors manufacturers with a reputation for product innovation, technical competence and quality. Due to continued strong growth, the company has increased stock levels, expanded its factories and production lines to accommodate customer demands and to reduce lead times. Get everything from one place. We have a large range of aluminium products, from some of the biggest names in the industry. We can provide you with all your aluminium window and door needs. Come Visit Us & Try Before You Buy! Visit our extensive exhibition centre to touch, feel and see our products in action. We believe it's important to see our products before you decide to buy. We guarantee you will be impressed with our range... Visit Our Grand Design Exhibition Centre. Our website is quite extensive. We believe that it is important to provide all the facts and information, so that perspective customers can make the most educated decision. If you have absolutely no experience, some experience, or are an expert with many years in the trade - we have a full customer support team that are happy to help. Friendly, helpful, knowledgeable and experienced staff in pre-sales, sales, technical and post sales support. We can also provide installation guides, technical manuals, DWG and DXF Files, many of which are available to download from our website. We are members the BFRC (British Fenestration Rating Council). We are also an approved supplier to the Ministry of Justice. So you can rest assured that you are dealing with a reputable company. The manufacturing of all of our products has been separated into individual departments. This way they can focus on the sole production of one type of product (i.e. Bi-folding Doors or Secondary Glazing). In so doing we can achieve a higher quality product and maximise efficiency. Our product range focuses on security, high performance and value for money. All Aluminium windows and doors are made-to-measure manufactured to your own unique specifications... visit our products page to find out more. Made possible by holding large stocks and manufacturing here in the UK. For customers who need their order extra quick we offer our Fast Track Ordering service. Dispatch and deliveries are handled in-house using our own fleet of ten vehicles. Go to our Marketing Support page to see how we can help you sell more. All our aluminium products, have an annodised or tough polyester powdercoat paint finish and all our glass, hardware and accessories are also guaranteed for 10 years - giving you complete peace of mind. Over the years we have been consistently bringing new products to the market, we were officially the first UK manufacturer to offer aluminium bi-fold doors to the trade. We also design many of the products we supply here at Duration Windows, our secondary glazing and aluminium roofs are our own systems. Our innovative products will allow you to differentiate yourself from the crowd.